After 5 years since the PC release, developer Turbine is finally bringing The Lord of the Rings Online: Shadows of Angmar to the Mac, and it’s free to play. The Lord of the Rings Online takes place in the LOTR universe giving players the chance to build a character from one of four races, and seven unique classes. Receiving only positive reviews since it’s first release in 2007, it scored 86 on Metacritic. Being free will be a key to its success, with players being able to enjoy the game without having to buy an expensive subscription. 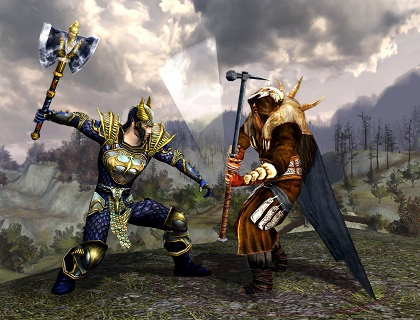 Turbine first considered bringing Lord of the Rings Online to Mac back when the game went free-to-play, said Alexander, but the reason it took so long was because the company decided to build a native port for the game rather than depend on emulation or other similar methods. “Trying to outsource the task just didn’t make sense,” said Alexander. Not only will Mac users be able to enjoy all the features of the game that are available in the PC version – something that is compromised when porting to the Mac – they will also have access to the games’ latest expansion pack, Riders of Rohan, released only a few weeks ago, according to Kate Paiz, executive producer of the game. You can download the Mac clienthere.